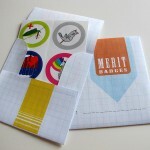 Give a deserving friend some merit badges! Or keep them for yourself! Click on my shop link and buy them there. 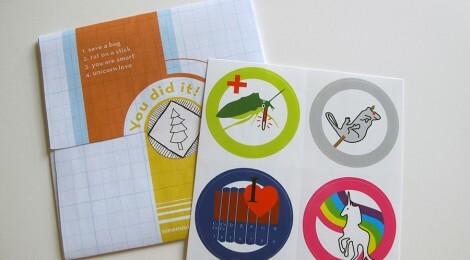 I illustrated the stickers and had them printed full color on vinyl with a glossy finish. 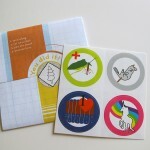 Each circular sticker is 1.5 inches in diameter. 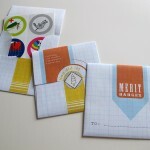 Envelopes are hand made and printed on graph paper. Envelope flap is held shut by a unique sticker hand drawn by me (with somewhat camp themed image).